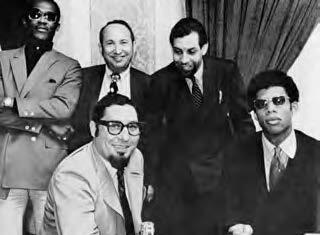 The National Basketball Association originally awarded the franchise to a group of investors based in Milwaukee - headed by Wesley D. Pavalon and Marvin L. Fishman - called Milwaukee Professional Sports and Services, Inc., on Jan. 22, 1968. Pavalon and Fishman were named president and executive vice president, respectively, as the franchise was incorporated on Feb. 5, 1968. An application from Milwaukee Pro was registered with the Wisconsin Department of Securities for the sale of 300,000 shares of common stock to Wisconsin residents at $5 per share. Because the issue caught public fancy, an additional 125,000 shares were offered when the stock opened on the over-the-counter market on April 24, 1968. 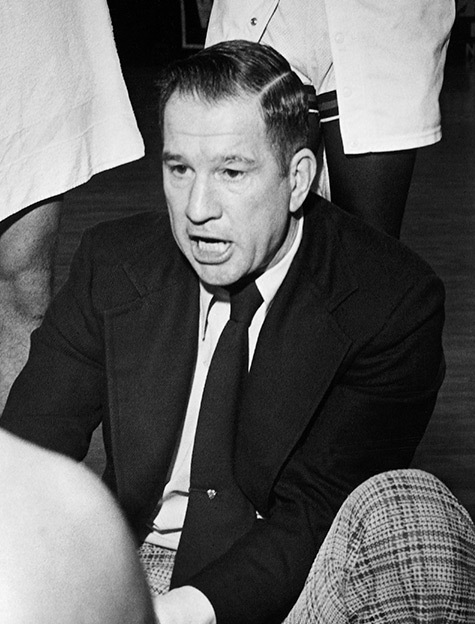 On the basketball side of the operation, the team went through both the college and expansion draft under the watchful eye of the team’s first head coach, Larry Costello. A Janesville, Wis., businessman, Jim Fitzgerald served as a member of the Board of Directors of Milwaukee Professional Sports and Services, Inc., beginning in 1973. He assumed his position as chairman of the board and president of the Bucks in November of 1976 and held that position until the sale of the franchise to Herb Kohl in the spring of 1985. Kohl’s purchase ensured that the team would remain in Milwaukee, and he would go on to lead the team as president for 29 seasons. April 16, 2014 marked the beginning of a new era for the NBA franchise as ownership transferred from Senator Kohl to a new group headed by entrepreneurs Marc Lasry and Wes Edens. Shortly thereafter, Jamie Dinan and Mike Fascitelli joined as majority owners, and an impressive assemblage of Milwaukee community leaders also took an ownership state to infuse the team and city with a new vitality driven by the promise of a next-generation team that remains true to the spirit of Milwaukee. The ownership group quickly sought to bring a new worldclass arena to Milwaukee. The idea was to not just build an arena, but rather develop a 30-acre district of an otherwise vacant part of downtown to redefine how a city lives, works and plays. The cornerstone of this idea was a new sports and entertainment venue that would become the new home of the Bucks while bringing world-class entertainment to Milwaukee. Ground was officially broken for the new arena, which was later named Fiserv Forum, in June of 2016. Shortly after ground breaking of the new arena, construction began on a new state-of-the art training center for the team across the street from the new arena site. The Froedtert & the Medical College of Wisconsin Sports Science Center officially opened its doors in August of 2017 and has been a top-tier practice facility for the team ever since. In August of 2018, Fiserv Forum opened, thus beginning a new era of sports and entertainment in Milwaukee and Wisconsin, while marking the biggest completion milestone of the 30-acre district to date. Entering the 2018-19 season, the Bucks are coming off back-to-back playoff appearances, have a global superstar and return a core group of players that led Milwaukee to its most wins last season since the 2009-10 campaign. 2015 NBA Coach of the Year Mike Budenholzer takes over coaching duties for the Bucks who seek another trip to the playoffs with aspirations to go even further. The 2018-19 season will mark Milwaukee’s first season in its new home, Fiserv Forum, and with a team destined to achieve more, the Milwaukee Bucks are built to stay.